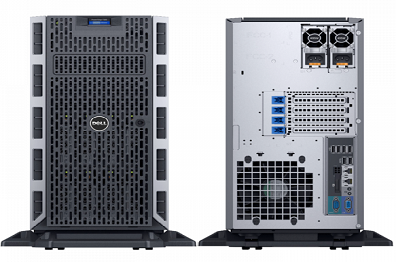 The Dell PowerEdge T330 is an excellent first server or replacement server for driving collaboration and productivity applications in small to medium businesses. The T330 offers great internal storage capacity (8 HDDs), hot-plug HDDs and redundant power supplies. In addition, compared to the previous-generation T320, the T330 supports the full-feature remote management of the Dell integrated Remote Access Controller (iDRAC8) with Lifecycle Controller, making the T330 highly attractive for ROBO of large institutions.